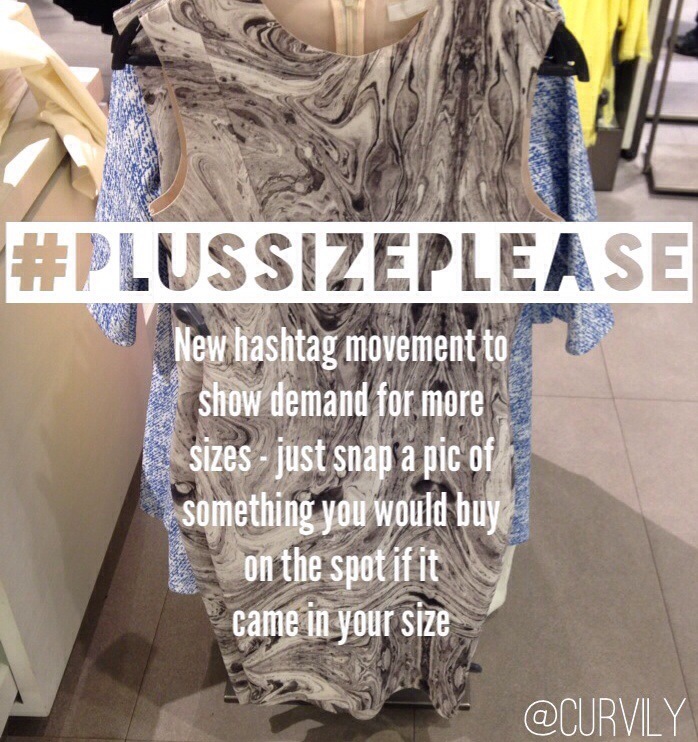 Sarah from of curvilyfashion.com has started a new hashtag movement for the Curvy Community, #PlusSizePlease. This is a great movement. I'm tired of shopping and all of the trendy clothes aren't offered in my size and I have to settle for the "Granny Grit" items. Click below to view how to use the hashtag! 2) Use it on any social media – Twitter, Instagram, Tumblr, Pinterest… even Facebook supports hashtags now. 3) Tag anything you’d purchase, whether in store or online. 4) Feel free to include the size range it comes in and/or the size you think you’d need. Sizing can be tricky, so this is definitely not required. 5) Tell your friends! I don’t just want this to be a blogger thing – I want all women who wear size 14 and up to show their purchasing power and share styles they love. Let’s be unignorable!